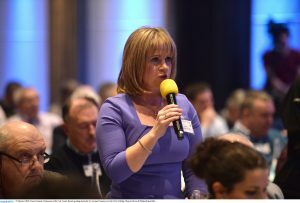 THE Ladies Gaelic Football Association is pleased to confirm that Cork will play two 2019 Lidl National Football League Division 1 fixtures at Páirc Uí Chaoimh. 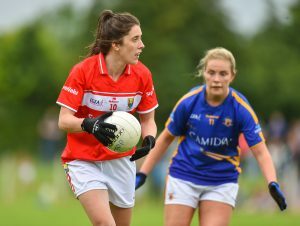 Tipperary will be the visitors to Páirc Uí Chaoimh on Saturday, February 23, when the Cork Ladies Footballers play at the Leeside venue for the very first time. 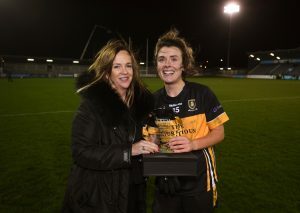 Helen O’Rourke, CEO of the LGFA, presents the Player of the Match award to Mourneabbey’s Doireann O’Sullivan, the Cork county star, following the 2018 All-Ireland Senior Club Final.